The participants discussed preparations for the inter-Syrian talks in Astana, including Vladimir Putin’s recent telephone conversations with President of Kazakhstan Nursultan Nazarbayev and President of Turkey Recep Tayyip Erdogan. They also touched on current socio-economic issues in Russia. 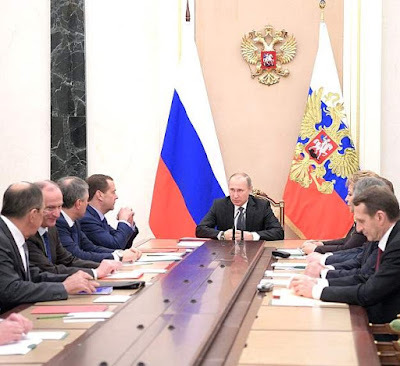 0 Comment to "Vladimir Putin met with members of Security Council"